To celebrate the 100th birthday of one of America's most iconic and talented entertainers, 10Ten Media produced a photo- and fact-filled tribute to Frank Sinatra's influence on music, movies, fashion and culture. Catering to a passionate fantasy sports market that now surpasses 60 million people, Draft Engine Fantasy Football was created by 10Ten Media for Time Inc. to arm enthusiasts with the ultimate draft resource guide. The publication is packed with stats, proprietary projections and profiles of more than 350 pro players. Tip sheets allow readers quick and easy access to vital draft-day data, while player rankings, position-by-position overviews and report-card grades help make the magazine the most comprehensive fantasy football guide on the market. 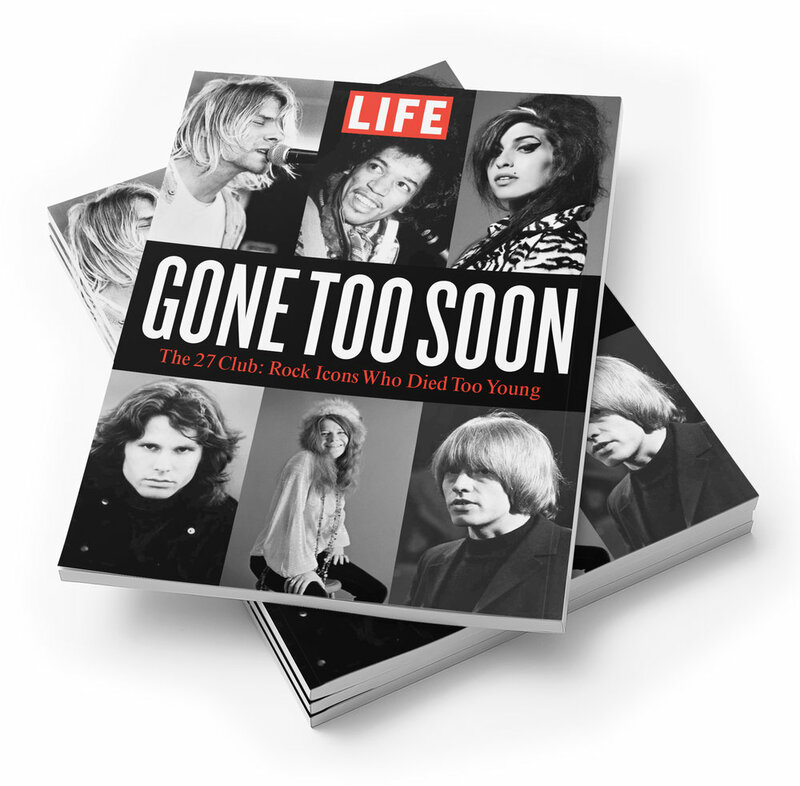 Focusing on the lives of rock legends including Jimi Hendrix, Janis Joplin and Amy Winehouse, who all died tragically young at the age of 27, this special newsstand publication was our second project commissioned under the iconic LIFE imprint. Managed, designed and written by the 10Ten staff, the publication was rendered to the high standards of the leading publisher in the bookazine space.